Sasya Shyamale Bio Organic Kit brings in a new dimension in organic gardening which is 100% organic and environment friendly product. The kit ingredients can be used for 100 pots and 2 months. Now you can grow the best choice of fruits, vegetables and flowers in your garden which is chemical free and healthy. Who can use this Kit ? This kit can be used by enthusiastic terrace gardeners both amateur and experienced. The kit contains a comprehensive manual which explains in detail how start a terrace garden. SKU: GMLSSOK001. Category: Garden Kit. Tags: bio, kit, organic, sasya, Shyamale. What does the Kit Contain ? VASUNDRA™ contains various free living micro organisms; they provide Macro and Micro nutrients to the plant. VASUNDRA™ promotes hormonal activity and induces their synthesis resulting into flowering and fruit setting. VASUNDRA™ also reduces the flower and fruit drop caused by hormonal imbalance. VASUNDRA™ also contains all major and minor plant nutrients, and all trace elements; alginic acid; auxins; vitamins; and etc… VASUNDRA™ enhances nutritional uptake and their utilization which improves the color, size, luster and taste of fruits. MAHACHAITANYA™ is based on an advanced scientific approach combining the benefits of Biofertilizers and new technological solutions using osmo regulators, naturally occurring biostimulants, trace elements like auxins, cytokynins, protein hydrolysates and bioactive humic and fulvic substances. MAHACHAITANYA™ is designed to provide a total nutrition to the plants throughout their life cycle; without the disadvantages of chemical fertilizers. MAHACHAITANYA™ is latest technology, New and Novel approach for organic farming. MAHACHAITANYA™ helps plant develop resistance to fight pests and disease. MAHACHAITANYA™ suppresses Pathogenic soil fungi & Pathogenic bacteria. MAHACHAITANYA™ creates better environment for Rhizosphere beneficial microbes. HIROOT™ is a symbiotic association between plant roots and fungal mycelia, acts as an extension of root absorbing surface. These fungi can improve the plant growth through increased nutrient uptake of phosphorus, sulphur, calcium and zinc. HIROOT™ is a water soluble powder with mixture of different secondary nutrients. HIROOT™ granular is used to improve soil texture, in turn helping white root development. In addition it provides nourishment to soil assisting in sustained growth of soil microbes which enhances nutrient. HIROOT™ improves resistance to soil borne pathogens like Phythium sp,Fusarium sp,Rhizoctonia sp,Phytopthroa etc. AURWA™ is the potential antagonistic fungus which and prevents control the crops/plants from disease like Wilt, Phytophthora, Mealy Bugs and Nematodes (Meloidogyne spp. – Root knot nematodes) AURWA™ is an unique Bioproduct based on Biofungicide, Bionutrient and Enzymes is recommended for soil application and spraying for all crops and soils. AURWA™ also acts as growth promoter by releasing auxins and gibberline in rhizosphere. AURWA™ active components of Biopesticides made on the base of this fungus antagonist are their spores, mycelium and products of metabolism. AURWA™ acts against plant root nematodes by infecting eggs, juveniles and adult females. AURWA™ secrets cellulase and chitinase enzymes which kills the pathogenic fungi or bacteria. AURWA™ utilizes protoplasm as a source of food and multiplies its spores. AMOGHA™ is a BioActive Humic and Fluvic Substances of Vermicompost origin soluble liquid formulation and also impregnated in double roasted bentonite granules. AMOGHA™ is a unique Biostimulant based on bioactive substances of Vermicompost is recommended for soil applications and for all crops and soils. AMOGHA™ provides Bioenergy required for crops and has biologically derived nutrients and Biostimulants substances. AMOGHA™ imparts better organoleptic properties like aroma, flavor, lustre, taste, lool etc. AGHORA™ is a Natural and Herbal extract origin in soluble liquid formulation of AGHORA™. AGHORA™ is a unique BioAcaricide based on Herbal & Natural extracts. AGHORA™ acts a BioAcaricide and Bio insecticide to control Mites, Scales, Thrips, Aphids, Jassids, White files and Caterpillars. This Manual Drip Irrigation Watering Kit is ideal for Vegetable Garden. This water conserving drip system covers 10 pots. and can easily be expanded as your landscape grows. Everything is included for a complete installation, no gluing is required. Samrakshaka is a Herbal pest repellent. 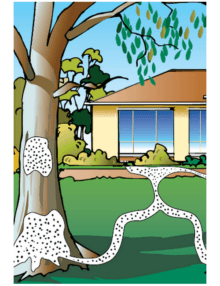 This Termite Repellent is organic powder for eliminating termites. It is Non-toxic and Eco-Friendly. Protein Soil Enricher is rich in potassium humate with botanical nutrients and neem cake. It reduces soil erosion and stimulates root growth, as well as improves water holding capacity and yield efficacy.